Update April 2016: Outlook.com introduced a bug that modifies styles of elements next to checkboxes. Check out this article to learn more. Hidden checkbox and radio inputs are becoming a staple way to introduce interactivity in email. Here’s a simple way to hide these elements in all email clients. 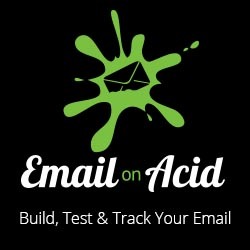 Can’t wait to get started with interactive email? Hiding techniques vary over the different email clients so its tempting to add other fallback hiding tricks when hiding elements. Unfortunately, the typical methods to hide divs and tables don’t work on form elements and may result in odd spacing artifacts when display: none is not supported. As you can see, even with overflow: hidden, the checkbox is still visible and rendered over the next element. Gmail only supports display: none when accompanied by !important. Yahoo! Mail does not support display: none inline but allows display: none in the embedded style. The trusty ol Outlook conditional comment to hide the element in Outlook. As you can see this works without the usual overflow, height, font-size, line-height, visibility baggage. Good stuff, Justin. Love these little bitesized bits of info! Great, very nifty diagram and explanation. thanks. Thank you for this article. It inspired me to make this GIF. Because this is really looking like a game of wack-a-mole, isn’t it ?